I prepared it with left over spinach and split black grams. It was crispy from outside and soft inside. 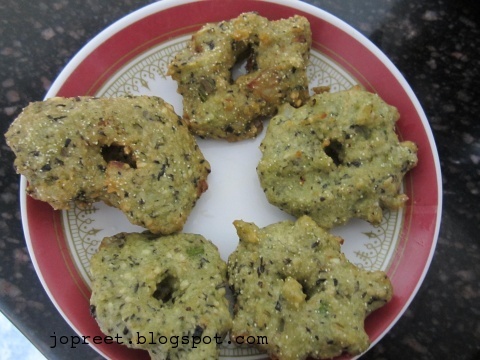 You can get 10-12 vada with the below mentioned measurement. Soak the dal and grind to paste. Make sure it is not watery. Grind spinach leaves and mix with ground dal paste, chopped onions, chopped green chilies, rice flour, ginger-garlic paste and salt. Mix all well and keep aside for 10 mins. Heat oil in a kadhai and wet your palms with water. Make a ball of the paste and form a disk like shape with hole at the center. Drop it in the hot oil and fry till it turns golden brown. Proceed with the remaining and serve hot with chutney or sambar. 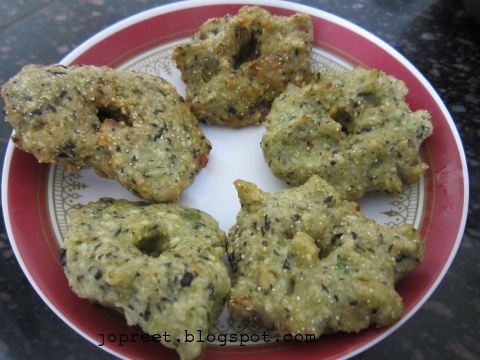 Healthy vadas. I loved your idea of mixing spinach. 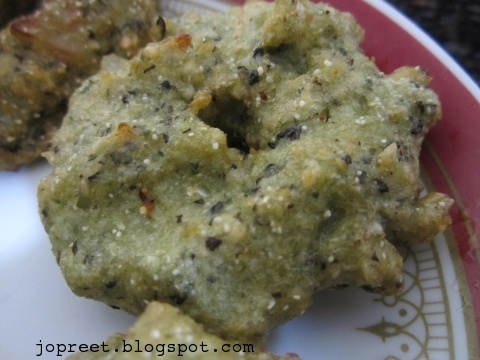 How nice.. last week I made Chicken vadas..now I'll make these.. Very nice tea-time snack. Very healthy and mouthwatering.